Top » Catalog » Replacement Parts » #600-0089-00 Bookmark Us! 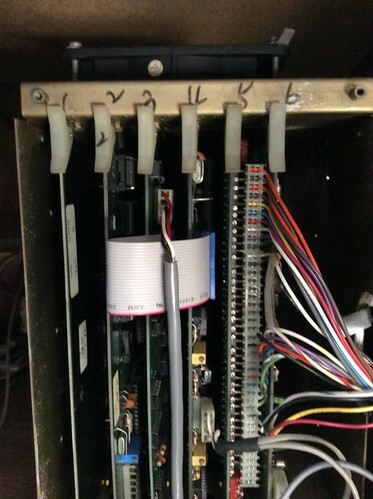 Replace those 30year old fragile ribbon cables with a brand-new cable. Like the stock ribbon cables; these have a red pin one marking on the grey cable itself. The Red side should always face Pin 1. 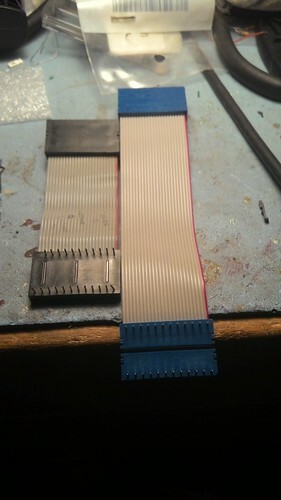 If in doubt; Check this web site for general ribbon cable orientation. Additionally; the pins are labeled on the top surface of the blue DIP connectors. Notify me when "Sega Vector Cable X-Y Interface" is re-stocked.